Considering the importance of customers' loyalty and the existing competitive environment, it is necessary to assess the factors affecting customer loyalty to find out the levels of effectiveness of different factors on customer' loyalty and the performance of different stores in this field. Therefore, in this research, a model is provided to rate the customer loyalty levels of grocery stores in the Ahvaz city with ANP and TOPSIS mixed approach. Different stages of the presented model include designing the conceptual model of the effective factors on loyalty of the customers of grocery stores, measuring the weights of the factors using ANP and rating the performances of the stores using TOPSIS. The results show that pricing is the most important factor when it comes to customer loyalty and after that quality of the goods, quality of the services, variety and innovation and technology are the most important factors in customer loyalty, respectively. Also the best performance by a grocery store is determined. Davar, V. Safaiian, M. (2002). Applicabl methods for banking service marketing for Iranian banks . Negahe Danesh. Hapson, B., Logari, J., Morgatid, S., Eskali, M., & Simpson, D. (2002). Service Management (Customer oriented Culture). Translated by Irannejad Parizi, M.(1381). National IRANNIAN Library. Ball, D., Simões Coelho, P., & Machás, A. (2004). The role of communication and trust in explaining customer loyalty: An extension to the ECSI model. European journal of marketing, 38(9/10), 1272-1293. Gorondutse, A. H., Hilman, H., & Nasidi, M. (2014). Relationship between corporate reputation and customer loyalty on Nigerian food and beverages industry: PLS approach. International Journal of Management and Business Research, 4(2), 125-136. Donio', J., Massari, P., & Passiante, G. (2006). Customer satisfaction and loyalty in a digital environment: an empirical test. Journal of Consumer Marketing, 23(7), 445-457. Haghighi Kafash, M., Akbari M., and Lianpour, N. (2010). Effective Factors On Customer's Loyalty (Case study: IRAN INSURANCE COMPANY). Insurance Journal 75-95. Haghighi Kafash, M., & Akbari, M. Prioratization of the Factors Affecting Customer Loyalty Using ESCI Model. Marketing Management Magazine, (10), 95-118. Zamani Moghaddam A., and K. LAHIJI. (2012). Surveying factors influencing customer loyalty in private banks based on fast response organization's model. 63-79. Maleki, Gholandoz M., et al. (2014). Identifying and ranking of factors affecting customer satisfaction of the household wood furniture industry by a multi attribute decision making method (Case study: Home furnitue). 691-708. 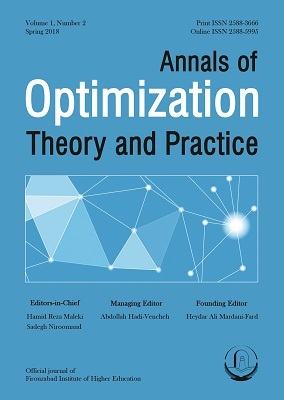 Abbasi, A., Rajabi, A., (2014). Investigating factors and barriers of e-loyalty to e-banking services in private banking customers in Golestan province, Journal of Business Management, vol. 6, no. 4, pp. 828-844. Sabzeei, A., Husseini, A., Bandarkhani, M. (2014). Reviews the factors affecting customer loyalty (case study agricultural bank). Journal of Management.93, 83-73. Giovanis, A. N., Zondiros, D., & Tomaras, P. (2014). The antecedents of customer loyalty for broadband services: The role of service quality, emotional satisfaction and corporate image. Procedia-Social and Behavioral Sciences, 148, 236-244. Chen, S. C. (2015). Customer value and customer loyalty: Is competition a missing link?. Journal of Retailing and Consumer Services, 22, 107-116.